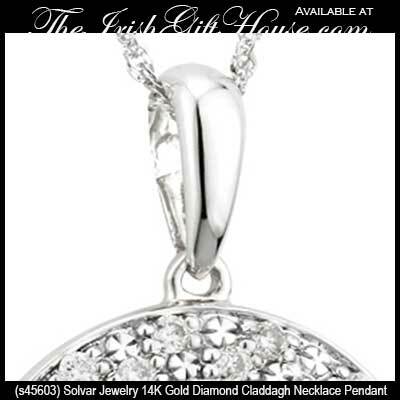 Claddagh pendant is a 14K gold design that is accented with diamonds. 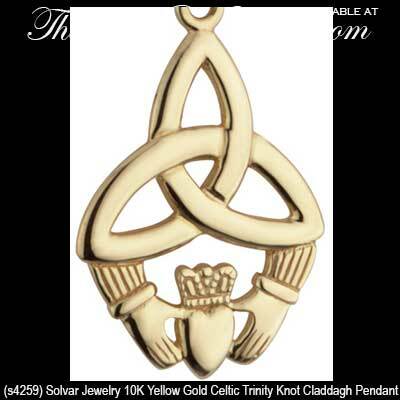 Celtic Claddagh necklace is cast in 14K gold and features a Trinity knot along with white gold accenting. 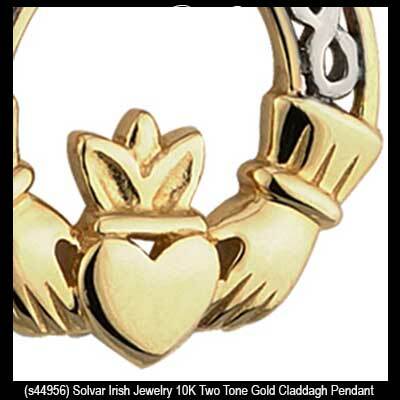 Claddagh pendant features a two tone gold design that is cast in 14K. 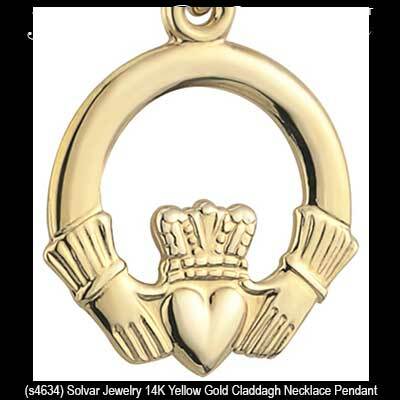 Gold Claddagh is a smaller size necklace with 14K construction. 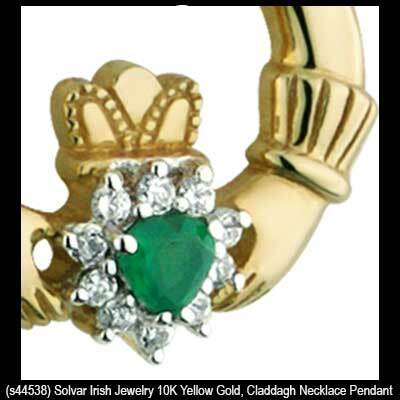 A pair of Claddagh earrings or an emerald Claddagh ring will enhance your necklace and all of your Irish jewelry. 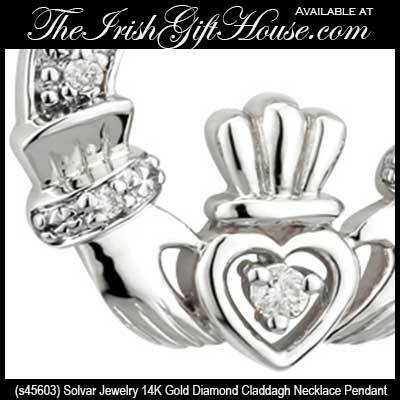 Don't leave your wrist bare while you are adding to your personal collection; cover it with one of our beautiful Claddagh bracelets or bangles. 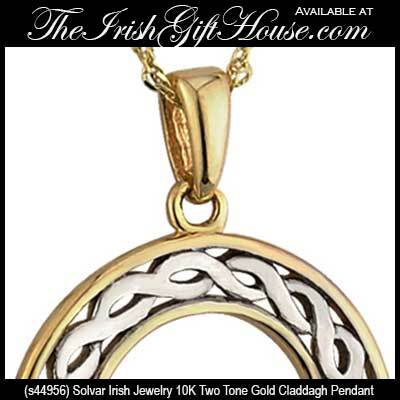 Our collection of Claddagh necklaces are made in Ireland by Solvar, Tara or Cailin Jewelry.